Where can I sell my motorcycle in Leicester?! Right here! 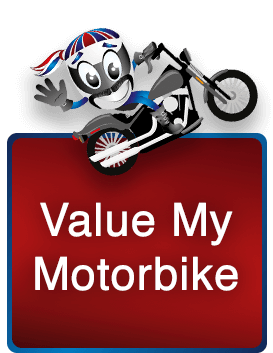 No matter the age, mileage, or condition of your bike; why not get a FREE instant valuation from WeBuyAnyBike today, and see what we will offer! Sell motorbike today with WeBuyAnyBike… an easy way to sell a bike! 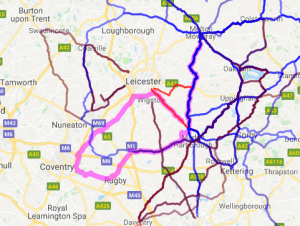 Planning a trip to Leicester on your two-wheeled-wonder? Here are WeBuyAnyBike‘s bikers guide to help you on your way! The Lively City of Leicester! Unbeknown to some, based in the East Midlands, Leicester is actually one of the most populated cities in the UK! Statistics show that the population has grown to an astounding estimate of 500k in 2017. Over the years, it is evident that the city has established itself to be quite a historic landmark. 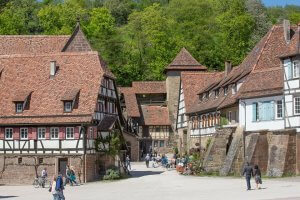 With the ancient buildings dating back to the first century BC, there are certainly plenty of places to visit for enthusiasts of the olden times. Although this isn’t strictly based in Leicester, this run briefly runs through the city and it is an absolute favourite in the biking world! 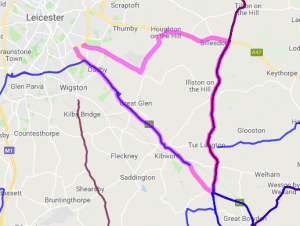 Starting off just South-East of Kibworth on the A5, head North West through the village until you get to the Leicester Racecourse roundabout. Here you will take the first exit which will leave you heading west. Head on this road until you approach Narborough Road South, where you will then take a left turn. Aside from a brief right, then left turn onto the A5 at Smockington; this is pretty much a straight road! Passing through Wolvey, you will then approach the M6 before you make your way onto the M69. There will be an exit to your left which will take you onto the A428. You will stay on this same road until you reach the outskirts of Rugby; the Cement Plant to be precise. Here you will take a left turn onto the B4112, Parkfield Road. Head North-West towards Brownsover and you will find yourself taking a straight road towards Lutterworth. Here you will head east onto the A4303/A4304. At Lubenham you will then head North; at the end of the road, you will turn right onto Gallow Field Road. Following this, upon your approach to the end of this road, you will then take a left turn onto Harborough Road. It’s all up from there! Continue heading north and you will be taken to the end of the route; Melton Mowbray… and the rest is up to you! With this one, make London Road’s Co-op your starting point! Heading west, take an immediate left turn onto the A6, where you will continue on this road until you approach your 6th roundabout. Here you will take the 3rd exit onto Melton Road/B6047 where you will follow this road until you approach the A47, where you will then turn left. Upon reaching Houghton upon Hill, you will then advance left onto Main Street; later following a further left onto Stretton Lane. Approaching the end of the road, you will then take a right turn onto Garton Road, which will take you over to the same co-op where you started! This exciting road is interesting for all bikers, but it is particularly interesting for motorists with a passion for all motors; including planes! If you happen to be an engine enthusiast, feel free to pull over and have a good gander at those wings (and wheels) overhead! In the middle of your trip, you might be looking for something to switch it up a bit! Not to worry, here are some popular historic places that Leicester’s visitors enjoy exploring! Situated in Coalville, this particular pub is evidently very biker friendly; it even says it in the name! This venue has been open for business for over 20 years. Established in 1994, it welcomes bikers from all walks of life; it even hosts overnight stays! So, if you’ve travelled far and wide and you’re looking for a place to stay the night, The Victoria Biker’s Pub will make you feel right at home! No matter what your intentions are, they enjoy hosting a selection of events; some of them have even made it on TV! The punters also host bike nights every Thursday and often host charitable events. Situated in Melton Mowbray, this little cafe suggests bikers call prior to visiting in the summer, confirming availability of their little car park. If you’re considering taking a visit to this lovely cafe, we would certainly recommend it, especially for their famous pies! They also do some other delicious dishes, too! This traditional transport cafe welcomes all kinds of vehicles, but they particularly love bikes! The bikers in the Leicester community enjoy nicknaming this Belton based cafe, Hungry Hogs. Their Facebook page (linked) is quite evident in their passion for bikes. 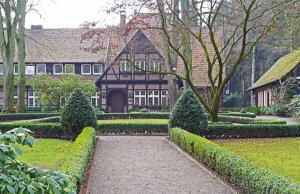 Based in Knights Templar, this working farm is quite an experience! It isn’t quite your average B&B, but it is certainly an interesting one. Owners Pat & Bill enjoy offering their services to visitors from all walks of life. Their cosy rooms offer coffee and tea making facilities, free WiFi, and Digital TV. This quaint little hotel is based in Kirkby Mallory, just 20 minutes out of the city of Leicester. Kirkby house offers a selection of facilities to cater for your needs, such as a bar and restaurant, flat screen TV’s, as well as free WiFi. They also have a variety of rooms available; the largest of which, even hosts its own Jacuzzi! When planning a trip to Leicester, it might not be a bad idea to look at some motorcycle clubs! The members of these are bound to know the secret gem roads to ride out to. They might even invite you to their own organized events! Established almost 60 years ago, the Fosse Riders were formed by a few former members of the Triumph Owners MCC. The association was formed as opposed to a club and still stands by its original intentions. For over 40 years, the Riders have grown a strong bond with MENCAP. Each may they join forces with the Charity to host a Combined Children’s Charity Walk. On their website, they also have a selection of public events which anyone can attend! Now, this club isn’t strictly based in Leicester, but in Milton Keynes, the members probably ride out within the same area. Originally based in Buckingham, over the years the club has branched out to different areas of the UK. The club itself also hosts many charitable events. So, if you’re based in the area whilst one of these is happening, we can highly recommend it! Interested in Motocross? Well, if you’re taking a visit to Leicester, we’ve found the perfect place for you! Ashby Moto Park is a great place to enjoy some enduro riding. The land is great; the people are great, and you’re bound to have a great time! Picture this: You’ve decided to explore the land of the UK, and for one reason or another, Leicester has sprung to mind. No matter what drove you to it; spontaneity, your secret love for the historic town (I like history, can you tell? ), or maybe you’re going to visit a family member! Whatever the case may be! You’re just about to approach the city, or you just have, and your bike starts playing up. You don’t want to mess with trying to drive it to a convenient place. So, what do you do now? Logging onto WeBuyAnyBike’s Leicester Bikers Guide? These guys would be a great place to check out. Aside from many other garages in Leicester, Oadby focus on the condition of your bike. They want your wheels just as safe and happy as you want them! As opposed to alternative repair shops who dabble in the car trade as well; Oadby’s only goal is to get your ride back on the road! Their 30 years experience is a proven example of just how dedicated they are. The business was established in 1979, by current owner Martin Ingham. Before Martin opened his own business, he previously worked specialising in the repairs of Yamaha, Suzuki, Honda and Kawasaki models. Though they don’t generally provide parts, according to the website; they will happily provide you with their trusted repairs services. 🚨Where can I sell my bike in Leicester? 🚨Sell my motorbike for cash in Leicester! 🚨I live in Leicester; Who will buy my motorcycle?! You find yourself typing all these questions into Google, but you’re just not sure where to turn! Well, contrary to what your mind might tell you… Our services are super easy, and our prices aren’t half bad either! Our previous customers have been pleasantly surprised by the services they have received from the UK’s leading motorbike buyer; that’s us! So, you’re in the situation where you live in the Leicester area; you’re thinking about getting a valuation from us. You don’t want to go through the hassle of finding us and delivering your own bike – and getting stuck 105 miles out of town. Don’t be silly! We’ll be taking it out of your hands, so we will pick it up! We don’t offer any collection charges for the bikes we collect; all we ask is that you’re based in the UK! Keep an eye out on our social media pages, for all the places we collect from each week; England, Scotland, Wales, and Northern Ireland.